Details on the European Software Conference for the Independent Developer and the (Micro-) ISV-Industry. Blending web & mobile & desktop into one world of software. 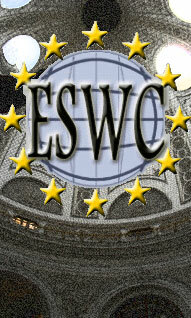 The ESWC (e.V.) (Court Reg. Nr. 77 VR 1319) is a not for profit association devoted to providing educational opportunities to software developers and the (Micro-) ISV-Industry - concentrating on those, that actually employ the fair way of distribution, called Shareware, Trialware, Demo or differently. The ESWC e.V. organizes the European Software Conference. The purpose of the conference is to provide a gateway to facilitate sharing information to and for software developers and companies and organizations who provide products and services to software developers. This educational conference serves as a springboard to develop the relationships between developers, companies that distribute software products, and companies that provide services to software developers. The ESWC e.V. is not affiliated with any other organization. Data protection declaration according to the DSGVO or GDPR (valid from May 25, 2018): Deutsche Version unterhalb des englischen Textes. Disclaimer: Please note that we cannot take any responsibility for the content of linked pages or banners from other sources than the ESWC (e.V.). Our website may contain links to other websites of interest. However, once you have used these links to leave our site, you should note that we do not have any control over that other website. Therefore, we cannot be responsible for the protection and privacy of any information which you provide whilst visiting such sites and such sites are not governed by this privacy statement. You should exercise caution and look at the privacy statement applicable to the website in question. We will not sell, distribute or lease your personal information to third parties unless we have your permission or are required by law to do so. We will not use your personal information to send you promotional information about third parties which we think you may find interesting if you tell us that you wish this to happen.You may request details of personal information which we hold about you. A small fee will be payable. If you would like a copy of the information held on you please write to the following address: David Boventer c/o Attorney at law Rainer Maeder Hauptstrasse 184 50226 Frechen, Germany.